Last night, way past a normal bedtime for a 5 year old, my little EK and I were snuggling in. Saying our prayers and our I love yous. When suddenly she said, “I’m probably going to forget you when I grow up.” Why, I asked. Why would you forget me? 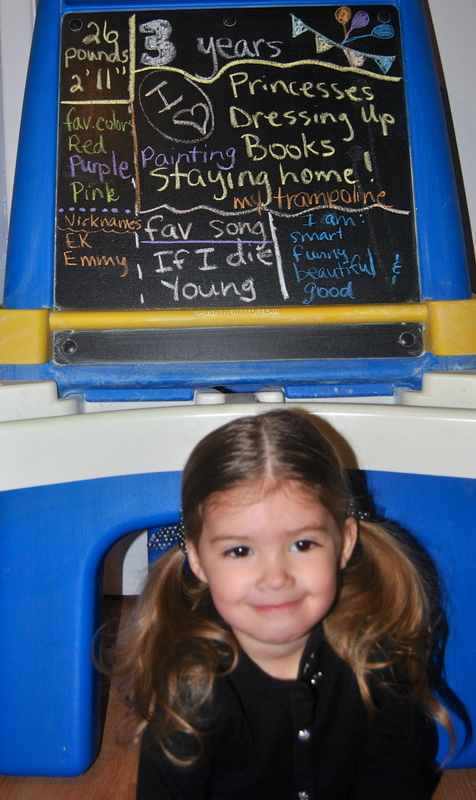 She answered because she would be all grown up. I tried to explain to her that girls don’t forget their mothers, while believing this with all my heart, but also hopefully convincing her that she wouldn’t forget me, that she couldn’t forget me. My momma heart felt a moment of fear and heartache at the thought that my time with her was limited, that some day it would end. Which of course it will, but not by forgetting. Never by forgetting. In my convincing, I tried to explain in the best way I could that I’m all grown up and I haven’t forgotten my mom and even my mom hasn’t forgotten her mom. And I desperately explained how when she was all grown up we would talk on the phone and visit one another if she moved away. That we could text on cell phones and take trips together. My mind was a flurry of all the grown up things we will do. In my vision, I was hanging on to her grown up self by a thread, knowing that it could so easily snap in an instant with her own life, her husband, her family, her busyness. We were lying on our sides in an embrace, our noses practically touching. She said if she lived next door, I could just come over and visit. That thought gave me some relief. Yes, next door. That sounds wonderful. Then I said what all mom’s say at some time to their sweet preschoolers, yet to become tumultuous, unruly teenagers. “And you don’t ever have to move out, anyway. You can live with me forever.” I’m sure some day I will try to cram these words back down my throat, claiming I’ve never uttered them. But for now, the thought of her leaving, even to live next door is more than I can handle. I didn’t even know how to react to this. It is at the same time both very loving and yet bizarrely disturbing. So we said our good nights and our I love yous and I realized once again how immense love is. The calendar hanging on the wall reads May 20. But I don’t need the calendar to remind me. I’ve actually been thinking about this day all month. I’ve been thinking of this month all year. I couldn’t let this day slip past without an acknowledgment, because this day is pretty significant to me. Today is the due date of my second child. I have no crib set up. There is no freshly painted nursery. No hospital bag is packed and waiting by the door. There is only a what if and a why. There is only my thoughts of how different my life would be right now… if only. I think of her a lot. I call her Ivy Quinn. I don’t know that she was a girl, she didn’t make it long enough to find out, but I have a hunch. Physically, she was only a part of me for a few weeks, but she will be a part of me until I take my last breath. She was mine regardless. Her life ended, but mine continues. Her heart stopped beating, but mine beats on–even with a hole in it. There is pain. There is heartache. There is something missing that was to be. Then suddenly wasn’t to be. I never felt her kick or held her in my arms, but I hold her in my heart and I always will. I wash dishes in a sink full of suds, but there is no baby bottle to rinse. I fold clothes and stack them in piles on the couch, but they are absent of tiny gowns. I can’t help but feel guilty. All the ‘ifs’ haunt me. If I had only wanted her more? If my initial reaction hadn’t been one of inconvenience? Would it have made a difference. If only she had known how very much she would have been loved? If I hadn’t been so overcome with doubt, worry, and fear? Would it have mattered. If I had felt more excitement? If I had told more people? We had a photo taken. It was clever and cute and we were going to announce it when the time was right. I hung it in our bedroom. We told our little Emma. She was so excited. Then I had to tell her the hardest thing I’ve had to tell her yet. She was quiet and then she said maybe the baby will come back later. Then nothing else was said. Ever. I put the photo away in a drawer. Out of sight, but not out of mind. The due date of my second child. We danced in the rain, arms outstretched, face upwards. We water-colored and crayon colored. We kicked a soccer ball and practiced writing the letter S.
We read books and looked for hidden objects in the pictures. There are a million things my mind tells me I should be doing. Like packing to move 400? miles away. And cleaning the house. And fulfilling commitments that I promised I would do. I should be doing laundry and keeping a more daily skin regimen and I should not be eating icing from the can with a spoon. I sneak in my “Me” moments, (which are not “Me” moments at all, but just the stuff you have to do to keep life running) at times when I can. I try so hard to balance the attention I give her with the other things that need my attention. Am I harming her more than helping, I can’t help but wonder. Will she turn into one of those entitled, selfish brats that I read so many articles about because of my “overparenting”? Those are the things my mind tells me. And my heart tells me that sticky fingers do indeed wash and wearing the same jeans two days in a row is not the end of the world. That knowing she is loved and cared for is truly more important, isn’t it? Isn’t it the most important? My heart tells me this time with my daughter is short; shorter than I realize. I have friends posting graduation pictures of their children on social media, and I count the years remaining. Fifteen. I actually count those years more often than I should. Fifteen years until I can have an uninterrupted conversation with my husband. Fifteen years until I can sleep late again. Fifteen years until I can go to the bathroom without someone barging in. Actually, I have way less than fifteen, I know. Motherhood is such a battle at times. Your heart battles your mind. Your shoulds battle your should nots. Your selfishness battles your self-sacrifice. Some days I wish it were easier. I wish that I could be assured that everything I’m doing is right and good and that this little person is going to grow up with fond memories of family and fun and me. That she will possess responsibility, integrity, morals, and high standards. That she will grow up self-sufficient and independent, yet never act arrogant nor pretentious. 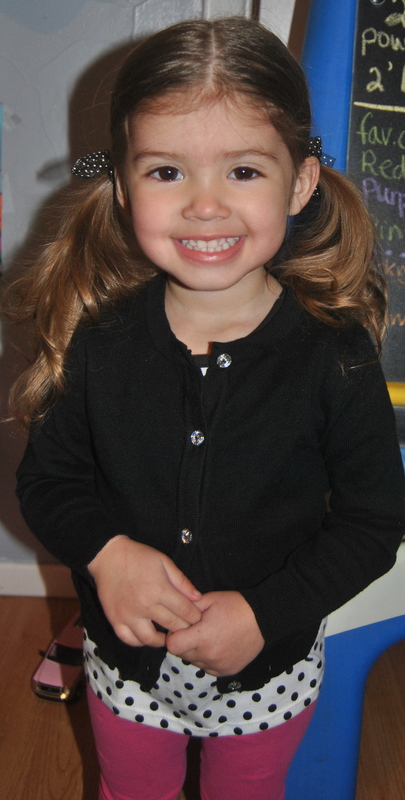 That she will grow up and know love, and be able to show love to others. I choose to give her my time and my attention. I choose to help her know she is important and she matters. Only time will tell if I’m doing it all wrong. We picked a fluffy dandelion and she asked me what I wish for. I looked into her deep brown eyes and said I already have everything I could ever need. I wish for her wishes to come true. She looked around the yard and saw her purple chair and said she wishes for a purple chair. Perhaps we both already have everything we need. Visit Angel’s profile on Pinterest. There are not many memories in my mental Rolodex that cause me to feel as warm and fuzzy as the memories of Sunday dinner (dinner meaning lunch here) at my mother’s mother, Grannie Silcott’s, house. The menu didn’t vary much. It mostly consisted of roast, potatoes, corn, and green beans. There was leeway at times with an additional hot roll or carrots or a salad, but there was always the top 4–roast, potatoes, corn, and green beans. Grannie S. would put the roast in the oven in the morning before she struggled into her stockings and applied a little rouge on her cheeks and off we’d hustle to Central Baptist Church for Sunday school and church. You see I spent almost every weekend of my early childhood with my Grannie Silcott. She was widowed and now that I look back on it, I suspect she was lonesome. She was my safe place. She had a cozy home that was predictable and routine, not at all like my own. We would sit together on Saturday nights in her little TV room and watch Golden Girls followed by 227, and Cagney and Lacey. Then we’d head off to bed together. We would recite “another day, another dollar” even though neither of us had made a cent while she rubbed some awful smelling ointment on her knees for her arthritis. Then she’d lay down, pull up the covers, and roll away from me. I would ask her to snuggle me, but she wouldn’t. “You snuggle me,” she’d answer. So I’d wiggle myself up to her back and bury my nose until I grew used to the smell of that awful arthritis ointment and fall asleep. She’d always rise early and have the roast on before I was up. We’d recite “This is the day that the Lord has made, let us rejoice and be glad in it” before preparing ourselves for church where we sat about seven rows from the back. At the end of each Baptist sermon, the preacher would have an altar call. “With every head bowed and every eye closed,” he’d begin his prayer for the lost souls. I knew this was the time. I’d peek up at Grannie and she’d be gathering her purse, and with every head bowed and every eye closed, we’d sneak out the back door. We had a roast in the oven! She wasn’t one to try to teach me how to cook; I was more of an inconvenience so she’d let me watch and at least I got to use the electric can opener to open the cans of green beans and corn. And setting the table. What kid doesn’t grow up having to set the table? I’d set her colorful Fiesta dishes around the old round table and always have to ask which side to put the fork on. I still don’t know the answer to that. We’d drag in some extra chairs from the living area and just as the potatoes were being mashed, the rest of the family would begin arriving. Cousins, aunts, and uncles. Grannie would be putting the food on the table as everyone was making their way to a chair. Then a day of fun and family would commence, with everyone talking at once. It was in my early teenage years, after my mom and dad had separated, that Sunday dinner held a new purpose. My dad had left Pampa and moved back to Tahlequah. It was the time before cell phones and social media. Back when it cost money to call long distance. Grannie Silcott had upgraded from a rotary phone to a cordless that set on the desk in her kitchen. Just like clock work, every Sunday around 12:30 the phone would ring and it would be my dad calling to talk. Of course it interrupted our meal, but he knew it was the only time he absolutely knew he could catch us there together and could talk to me and my sister. I remember his voice on the phone, making jokes about what we were eating. “Let me guess,” he’d say. “I bet you’re having roast, potatoes, green beans and corn.”Most of the time he was right, but some times I got to tell him he forgot the rolls or the carrots or salad. He’d tell me he wished he was there. I always thought he meant because of the meal, but now, many years later, I understand it wasn’t the meal he was missing. After Grannie Silcott died in 2004, the Sunday dinners died with her. We don’t get together as a family much anymore. Of course, there’s the big dinners: Christmas, Thanksgiving, and Easter. And of course we always try to celebrate birthdays but it isn’t like it used to be. In the past two and half years that me and J-Dub moved away from Pampa, I have come to understand the importance of family. Of memories. Of cousins and aunts and uncles. Of Sunday dinners. It takes just a little absence of family to begin to realize that it’s because of them we live and breathe. Our world moves so fast. Our lives are complicated. We’re too involved in keeping our kids schedules cram packed that we often can’t sit down for a meal with extended family without an excuse like a wedding or a funeral. I want my kids to have the memories that I cherish. The love that was shown by my grandmother each and every week putting a hot meal on the table for all her kids. I want my kids to have some traditions they recall fondly when they’re grown. So today I did it. I put a roast in the oven before I struggled— not into my stockings—- but into my skinny jeans for church this morning. I applied a little blush to my cheeks and hustled out the door. We returned to a house smelling like Grannie Silcott’s on Sundays. It wasn’t exactly the same. It wasn’t even remotely the same. There were more differences than similarities between my Sunday dinner and hers, but it’s a start. One that I hope to continue. 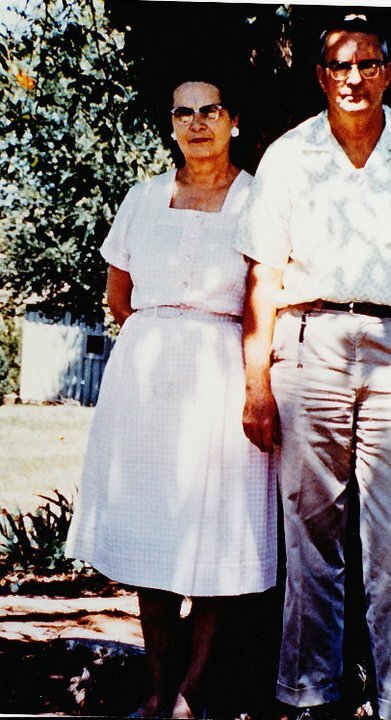 This is my Grannie Silcott and Pop. Taken before I was born, as I never remember her hair any shade of color except gray. She was 69 when I was born and was old all my life. Last night you went to bed as a two-year old and today you woke as a three-year old! But not technically. You actually have until 2:47 this afternoon until you can officially say you’re three. You are the absolute most wonderful thing that has ever happened to me. I love you so much. You are smart, beautiful, and funny. I am easily entertained by your antics, whether it is the funny things you say or the silly eyes you make, you always can make me smile. You enjoy coloring and painting. Of course you love your books as you always have, and your cat Rocky Muffin. You are super smart, knowing and recognizing all your letters and your numbers to ten. You have begun to know how to make the letter E, and then you just scribble some m’s like mountain tops and a dot for the A. 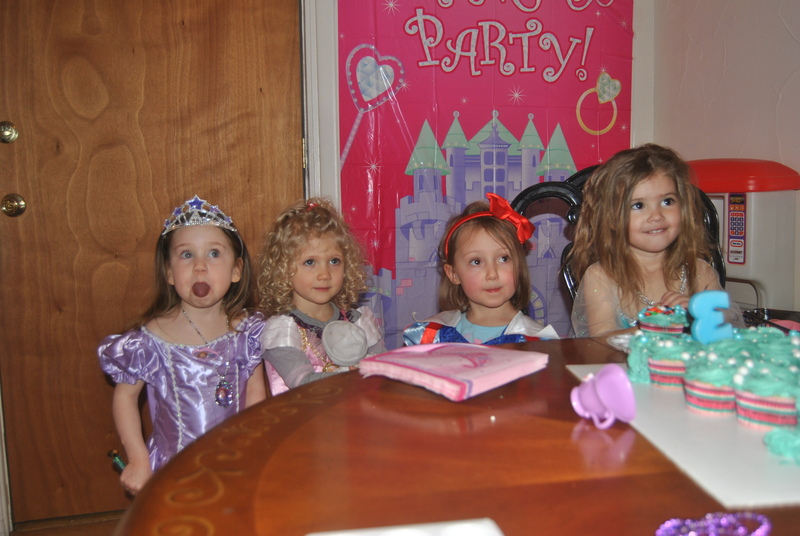 You love all things princess related and we celebrated this past Saturday by having a Princess dress up party. Three of your friends joined us and we had the best time. Everyone had at least one wardrobe change. We played Hide the Slipper and Pin the Kiss on the Frog. Then we decorated foam crowns to wear. 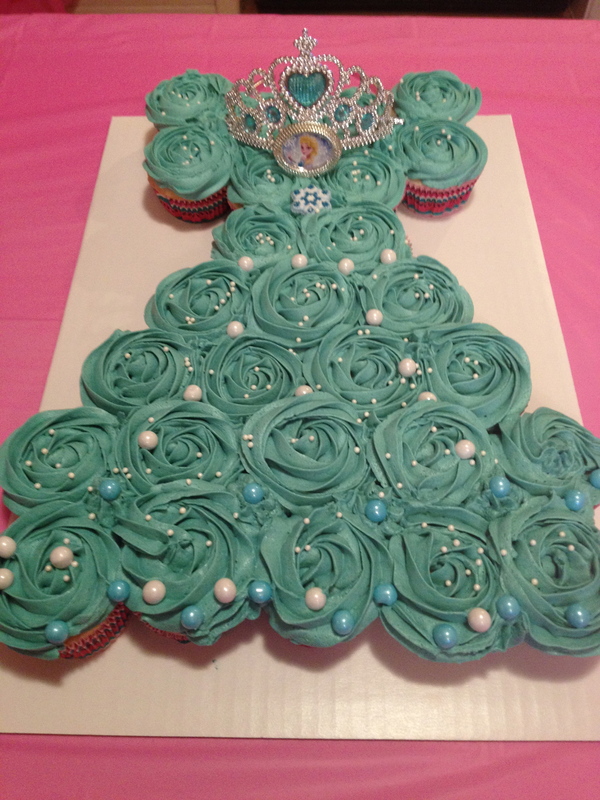 I had a lot of fun making you a cupcake princess dress and seeing your sweet face full of excitement. You were so good and well-behaved and truly acted like a princess should. The funniest part of the story is that you are convinced since we already had a birthday party that today you are four years old. You insist that, “I’ve already been three!” You are trying to convince me to have a farm party for your fourth birthday. I hate to break it to you, but birthdays only come once a year. You need to not rush things anymore than they already are. It seems like yesterday that you were that bright-eyed, alert newborn baby. You will always be my baby, no matter how old you get. I thank God for you everyday and for the time I have to spend with you watching you grow. You are my blessing, one I am ever grateful for. I love you so much my sweets. 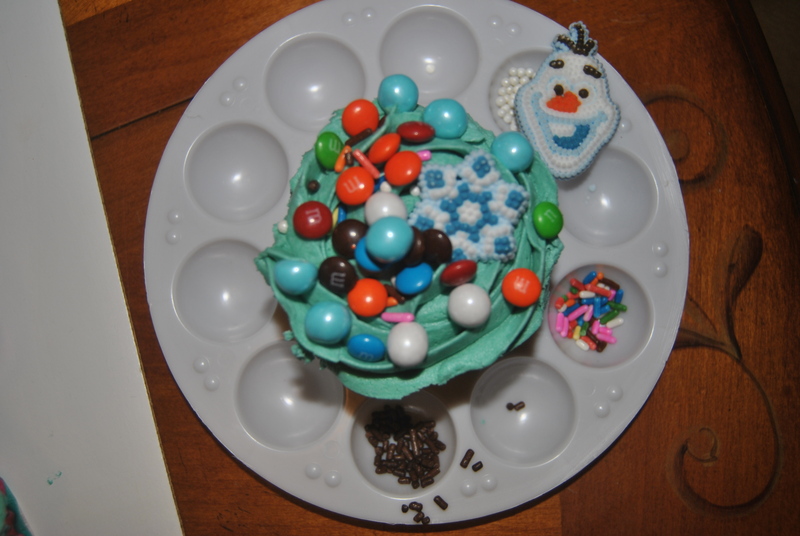 Now THAT’s how you decorate a cupcake. Showing how old you are. Mommy and her favorite princess. I love this picture of us. I’m not sure what it was that woke me in the middle of the night. The dream. The fact that my left leg was asleep from stem to stern. Or my big barking dog in the backyard. Whatever it was, I was awake. I wiggled my leg, feeling the pins and needles begin to subside; laid there deciding whether I should get up and shut up the dog and face a possible ax murderer staring back at me ( I always imagine the worst); all while I picked the pieces of my dream and put them in their place, making it all come together. It was a Dad dream, my favorite kind, and so I savored the memory of him for just a while longer before I ventured outside to yell at the dog. It turned out, there was no ax wielding maniac, probably just a skunk. I returned to bed, but now I had a new problem. I was awake at four in the morning. Alone in my head. My thoughts crowding and bumping into each other. As a mom-in-the-trenches, there are two things I currently cherish in my life. 2) My alone time when I’m awake. I debated them. Should I try to go back to sleep? Should I get up and write? (something I don’t have time for unless I’m awake and everyone else is asleep). I want to sleep. I want to write. I can’t do both at the same time. Instead I did neither. I played Words with Friends, then I thought of my dream some more, which carried me to a real-life conversation I had with my sister a few hours previous. She had mentioned a scripture that she was focusing on. Zephaniah 3:17? Or was it Zechariah 3:17? Four in the morning memory isn’t so hot. She said she had highlighted it for her Bible Study and had left her Bible opened on the table. Later, she noticed that her daughter, who’s battling her own adolescent wars, had drawn a heart beside the highlighted scripture and had written her initials inside. That image touched me. The fact that an adolescent girl would pause to read that scripture, and that it was meaningful enough to her that she would make her own notations with her heart and initials. I am unfamiliar with Zephaniah 3:17. I got my phone and looked it up. I read them again and again, mulling over these words and considered the relevance to my niece and her struggles. Rejoice over you with singing. It paints a happy picture, doesn’t it? It paints a loving picture. It paints a picture of a God who is crazy about us. One who cares. Just then my little bed partner, Emma Kate, rolled into me. Her skin was warm and toasty and her breathing was full of slumber. I kissed the side of her head, and felt my heart bursting with love for her. We love because he first loved us. He is our example of love. We should strive to love like him. Those words are of a Loving God. And, just for an extra bonus, the words of an Old Testament God. The mean one, you know? Or wait. No, that’s me. You see, I think God relates to me the way I relate to my child. And others. My ways are not your ways. My thoughts are not your thoughts. We’re told here in Zeph. 3:17, that he delights in us. Sings over us. Rejoices. Yagil. That literally means he dances, skips, leaps. He shouts over us with shouts of joy. When was the last time you danced and sang over somebody? Not with somebody. Not for somebody’s entertainment. But OVER somebody. As much as we think we love, it’s no comparison to how he loves is it? God does not have his back turned. He’s not saying, “not now, later.” He cares. We are his children, and He is not weary with us. He has shown up to live with us. He has arrived. Annnnnnd……He is full on dancing, singing, rejoicing, and loving us. I think that knowledge is worth getting up at 4 a.m. for. This day finds me a bit happy, a tad sad, with a little hope thrown in. I’ve neglected my blog as of late simply because my life is boring, quite frankly. I do all the things that everyone else does. 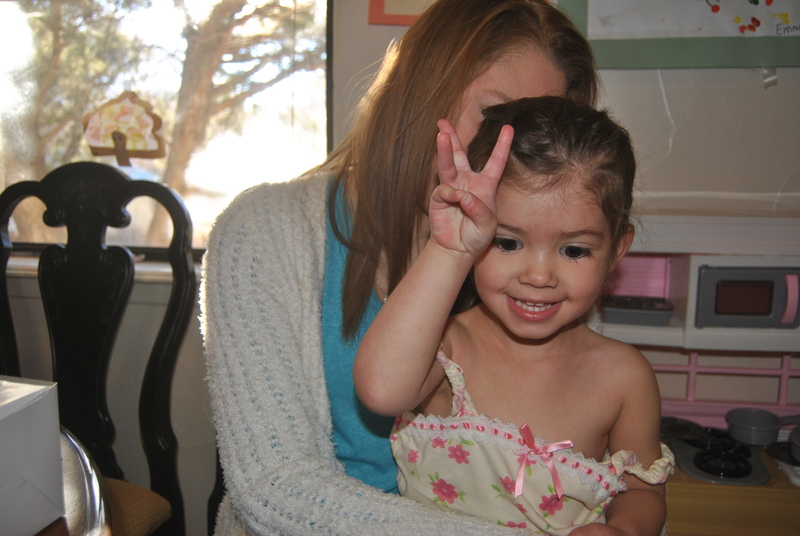 I have a wonderful bundle of two year old joy that keeps me entertained. I try to exercise. I try to read. I attempt to write. I avoid cooking and cleaning as much as possible. I have a stack of laundry that begs for my attention. It’s really the same, ol’, same ol’ day after day. I feel that I don’t have anything profound to say anymore. But today is Easter and so in an attempt to preserve some family memories, I’ll blog. I’m happy today because I’m so truly blessed with every good thing that really matters in this world: family, friends, faith, and health. I’m a tad sad because we haven’t been to church for the past two Easters. We have yet to find a good church home and that makes me sad. Recently, when we went back to our hometown we visited our church and it was so wonderful, so refreshing. I wish my dear old Briarwood would pack up and move here, then I would have the perfect world. Sure, I understand that I don’t need a church to worship, I can worship right in my own front yard, but I miss the fellowship and the sharing with a body of believers. But of course, I keep my hope and I believe good things are always heading my way. A wonderful church, included. For Easter Sunday, we did the “thing”. We colored eggs and had an egg hunt. We attempted to take a family picture with a self timer on our camera. I regret to inform you that we did not get a good one. Big surprise! The house is now scattered with candy wrappings and EK is green up to her elbows. She fell asleep after her sugar crash reading Beauty and the Beast and I am soon to join her for a little siesta. All in all, I’d say we had some great Easter success. He lives, he lives, Christ Jesus lives today. I sang that to EK today, and she got a kick out of it, especially when I tried to hit the high notes. I hope you too had a blessed Easter, spent with your loved ones celebrating the true meaning of the day.